You can also text our office from your phone. 2016 marked a milestone as we celebrated our 25th Anniversary in providing care for the great people of the Inland Empire, including Chino and Chino Hills, CA. At Advanced Eyecare of Chino, we take pride in providing individualized attention to each and every patient. You will not be just a number with Dr. Paul and his staff. We promise a personalized examination with Dr. Paul who will take the time to listen. We offer unparalled technology for the highest quality eye health exam and we pledge to explain things in human terms not medical jargon. Are you someone who always wanted contacts? We specialize in fitting "hard-to-fit" contact lenses including bifocals, severe astigmatism and scarred corneas. Our very experienced staff provides individualized consultation to choose glasses that will provide you with the best vision; and you'll look great too! Our goal is to help you get the most out of your vision. We want Advanced Eyecare of Chino to serve as your family's eye care practice for life. For us, it's not just a matter of eye exams and fitting glasses; it’s all about understanding how you work, play, and live in the world. It's helping you get more out of life. The purpose of our practice is to gain your trust for all your vision and eye health needs. We've designed our office to be a warm, comfortable place for every member of your family. We want you to feel right at home. We spend time devoted to each individual patient. Dr. Paul and his staff have a specialized understanding of the care and treatment of the eye. We just received our second Award of Excellence from Medical Eye Services for outstanding care of their patients and in 2017 we are proud be on the Essilor Experts panel of outstanding offices. 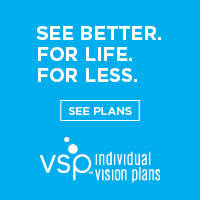 Our office is excited to be a member of Vision Source, a network of premier, independent, optometrists located throughout the United States. And we're conveniently located in Chino Valley, in the Riverside Dr / Mountain Ave neighboorhood. In fact, we're next door to the Chino Valley Medical Center and close to both the Walnut Avenue Elementary and Chino High School! We're truly looking forward to seeing you! Visit our services page and see what we makes us unique.